The interest in antiques and preservation of family heirlooms has been integral to growth of Mister Restoration. Customers increasingly want to restore and preserve rather than throw out. The style and quality workmanship of older furniture is still one of the strongest reasons for furniture restoration. 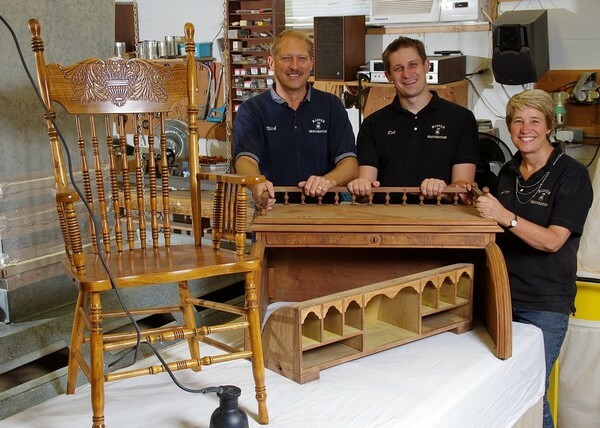 Trends come and go, but customers of Mister Restoration have enjoyed the opportunity to have their furniture restored to its original beauty, or to add a new piece to their valued collection. Alice and Nick Groen, and their dedicated and talented staff, truly look forward to restoring your precious heirlooms or adding quality pieces that will be treasured for generations.